The Atlantic hurricane season doesn’t officially begin until June 1st but prepping your home should start now. There is often less than a week’s worth of warning before a storm hits. Waiting until the last minute means competing with everyone else for limited supplies. You also don’t want to be to nailing sheets of plywood to your house as the wind rises. Hurricanes can impact any coastal area in the United States and effects can be felt as far as 100 miles inland. Take a good look around the exterior of your house. Do you have areas of gravel in your landscaping? Hurricane winds can pick up those rocks and fling them into your windows. Consider replacing gravel with bark mulch. Do you have sliding glass or French doors overlooking a great view? Have some way to cover them securely. Hurricane shutters are a great investment for all your windows. 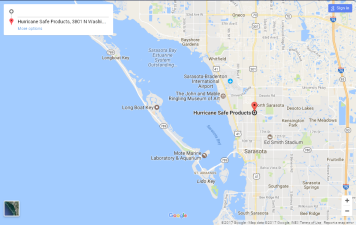 Check your garage door to make sure it is rated for hurricane force winds. A well protected house can mean the difference between coming back to a home or to a slab.